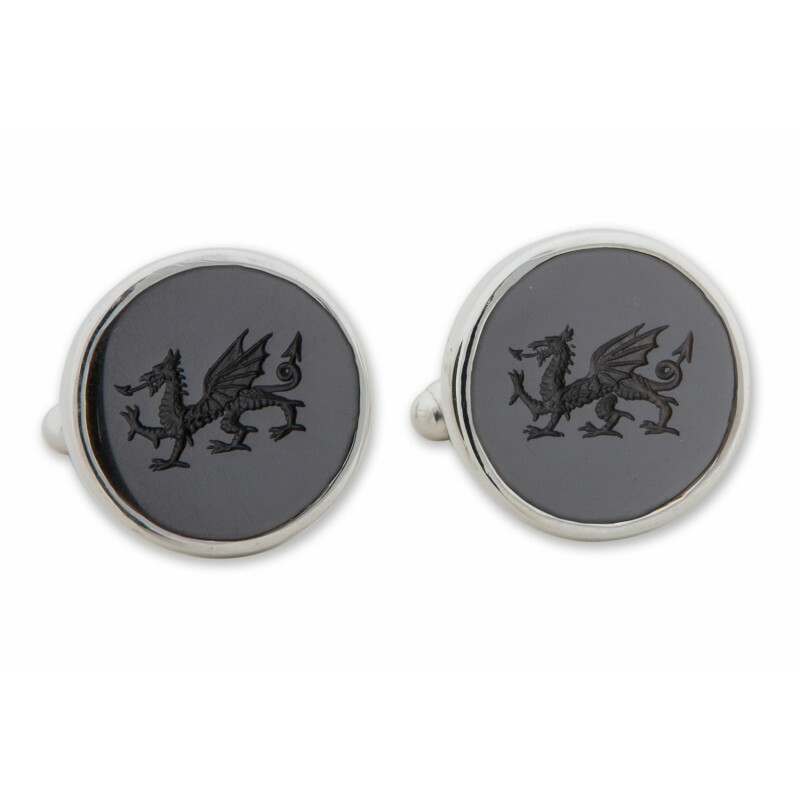 Black Onyx Cufflinks featuring a welsh dragons hand engraved intaglio to the natural stone and mounted to sterling silver. 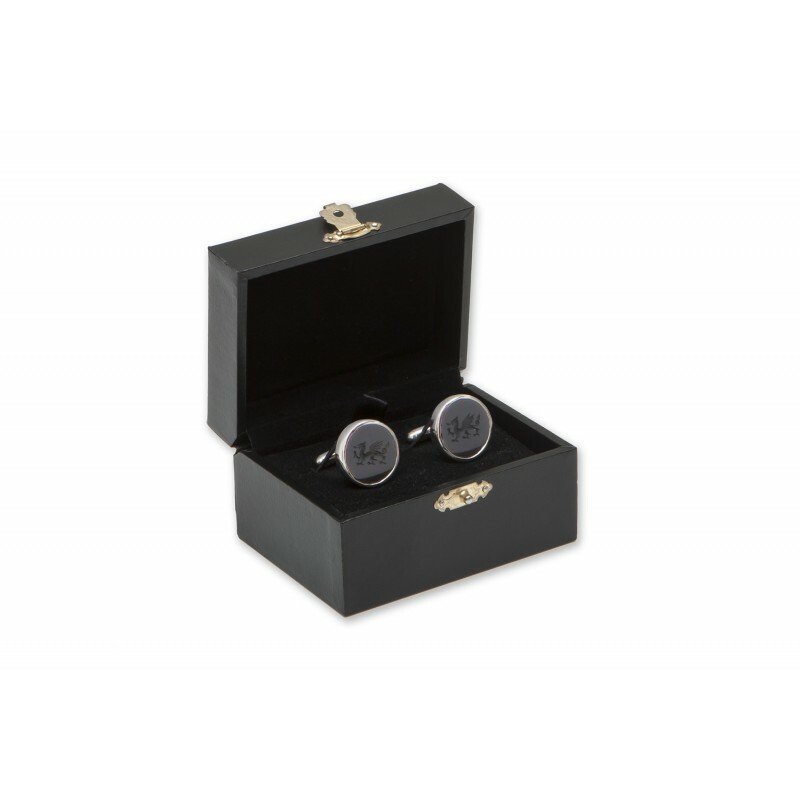 This superb pair of black onyx cufflinks consist of two well crafted top quality black onyx roundels cut from the same rock, a beautiful color. 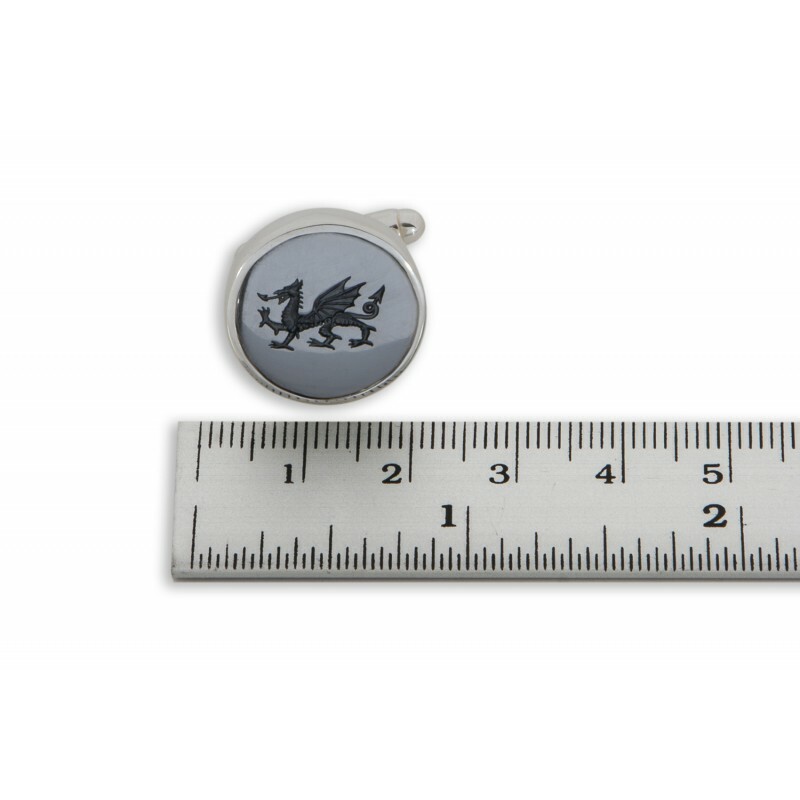 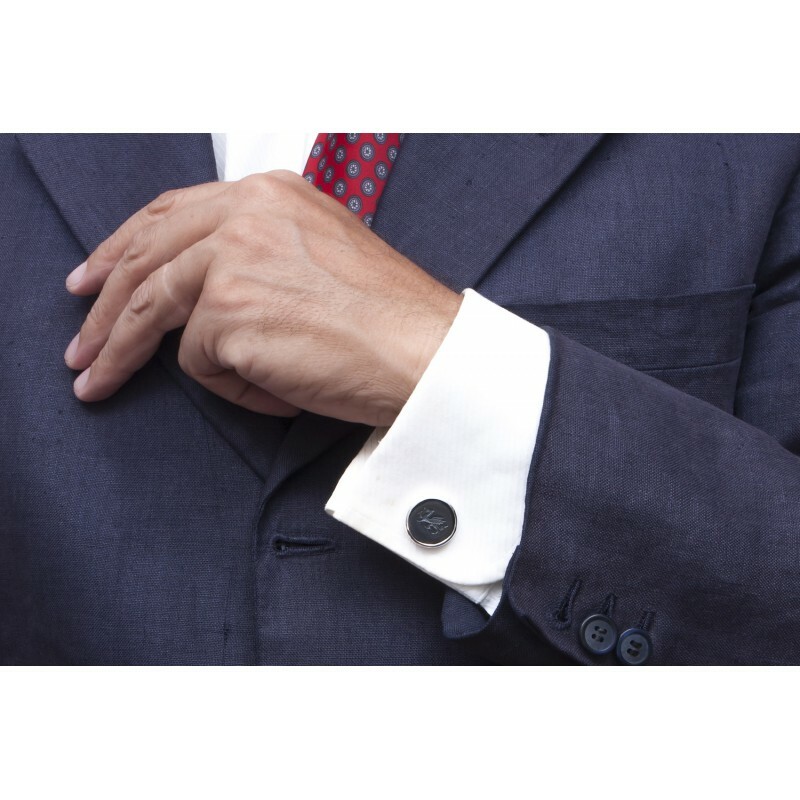 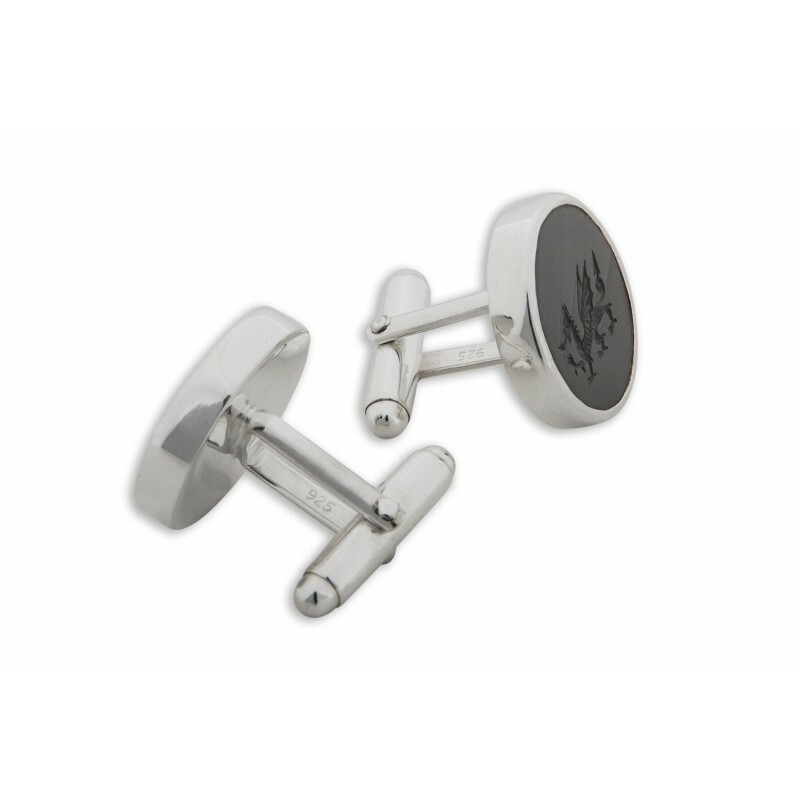 The hand engraved intaglio welsh dragon display wonderfully to create these distinguished cufflinks.